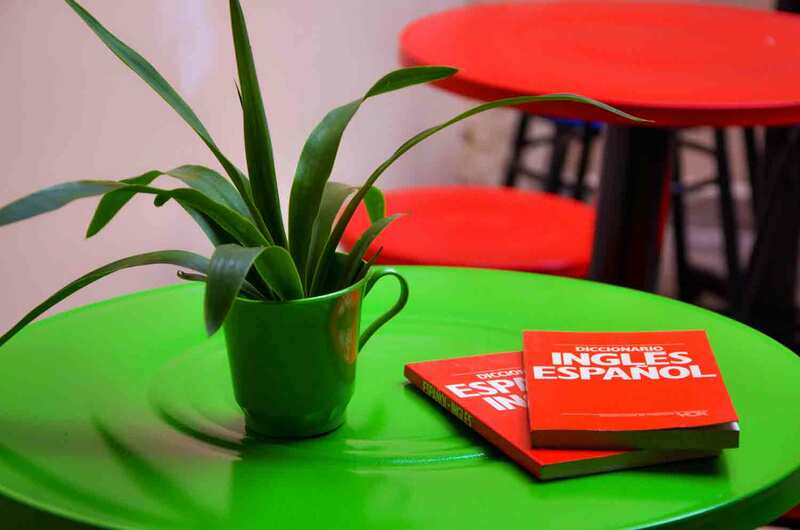 WE ARE A SPANISH-IMMERSION HOSTEL – CLEAN, SAFE, STUDENTS-ONLY. Our hostel was built with EVERY detail in mind. 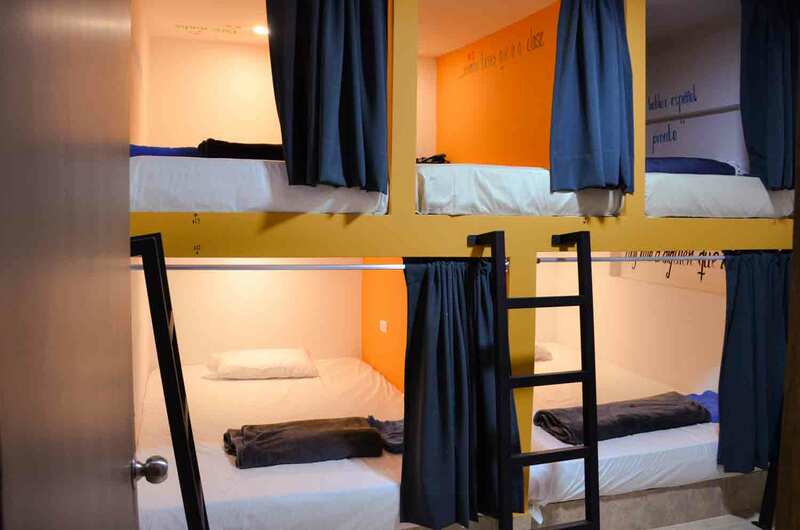 We constructed our bunk-beds in concrete so that there is no moving and swaying and you don’t hear the person above you. Each bed has a reading light, plug, and curtain. And wait… most of our beds are doubles (plenty of room for two). Our custom mattresses are also LONG – up to 2.1 meters. Yes, you are not a cow and we want you to be comfortable. 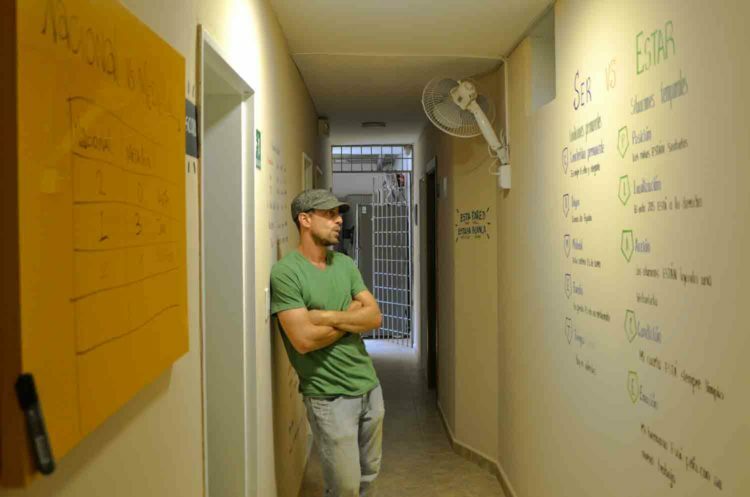 We might be a Spanish school, but we’re probably also the most comfortable hostel in Medellin. We have a nice kitchen, mezzanine, small patio, hot water, lots of computers, a laundromat, multiple TV’s, a projection theater, and much more! 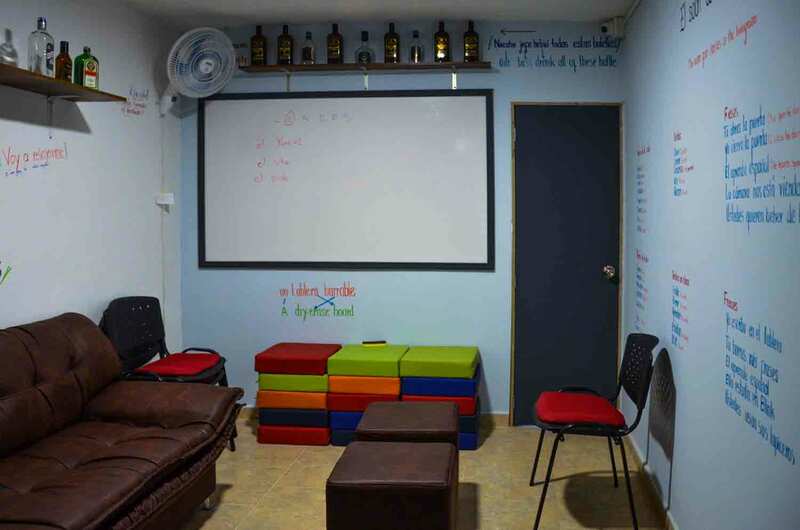 Our hostel-atmosphere house was designed for learning – and learn quickly. Everything from the walls and appliances, to the towels and kitchen spices are labeled in Spanish – and the most important Spanish rules, verbs, and conjugation charts are also on the walls. You start learning the moment you enter the Blink House. Our system encourages you to speak in Spanish from day one. As a student, we’ll encourage you to communicate with staff in Spanish. 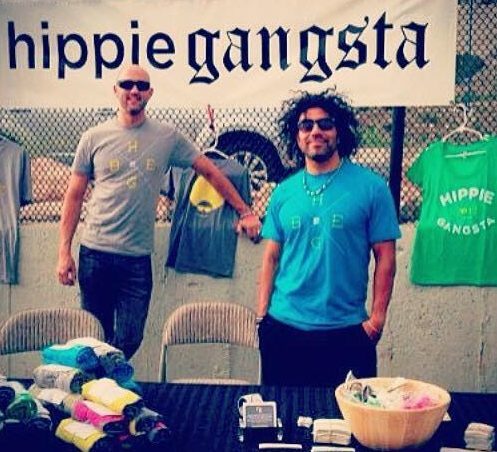 Our house is just part of our method, and a quick tour will be well worth your time. 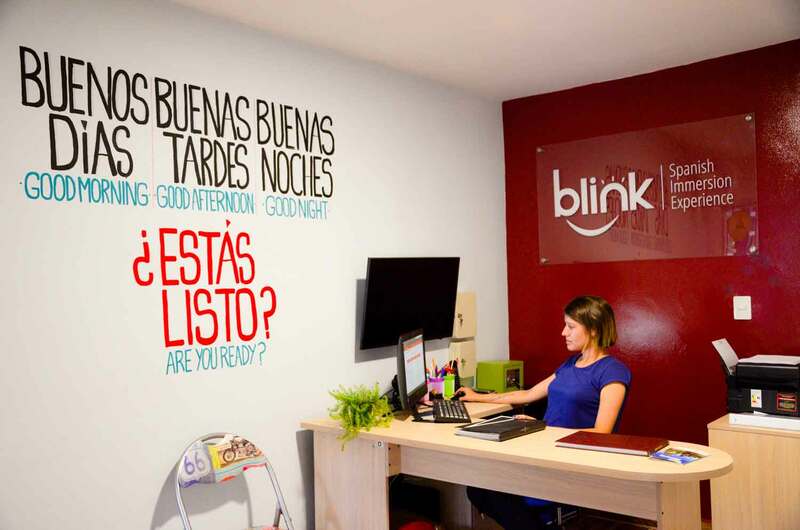 Our library is packed full of computers, books, and other cool, creative, and customized learning resources – Blink is a place where you can study, eat, and experience Spanish at a price the others simply can’t match. 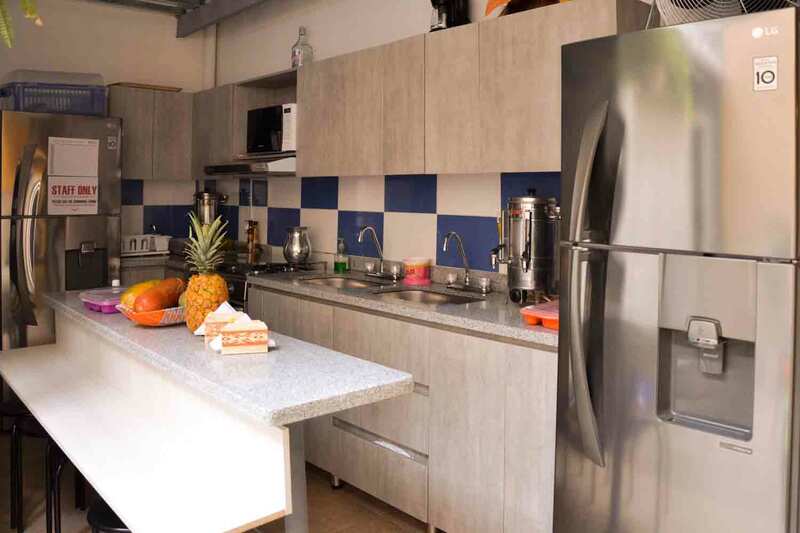 We are happy to arrange homestays and private rooms in shared apartments. 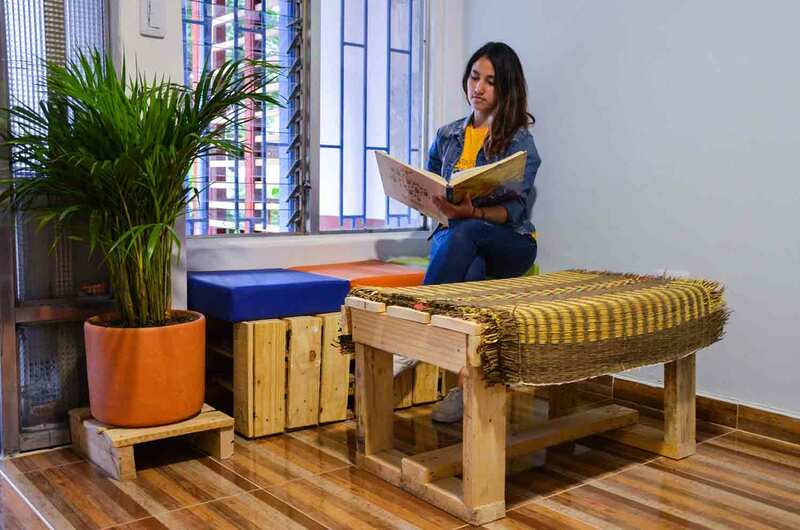 Each homestay or private apartment is within a block of our school, and this option can provide you a more intimate study experience (with native Spanish speakers) as well as added privacy and comfort. The price for each option is +30.000/COP for each night with a 7 day minimum.